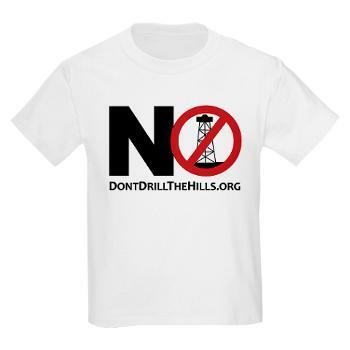 Don’t Drill the Hills, Inc (DDH) has discovered “surface entry” contracts that allow oil & gas well rigs at three Rochester Hills properties (950 Adams Road, 974 Adams Road, and 2965 Tienken Road) zoned single-family residential. These sites are located adjacent to Rochester Adams High School and Van Hoosen Middle School at the intersection of Tienken & Adams Roads. A surface entry lease next to Musson Elementary was recorded earlier this year. 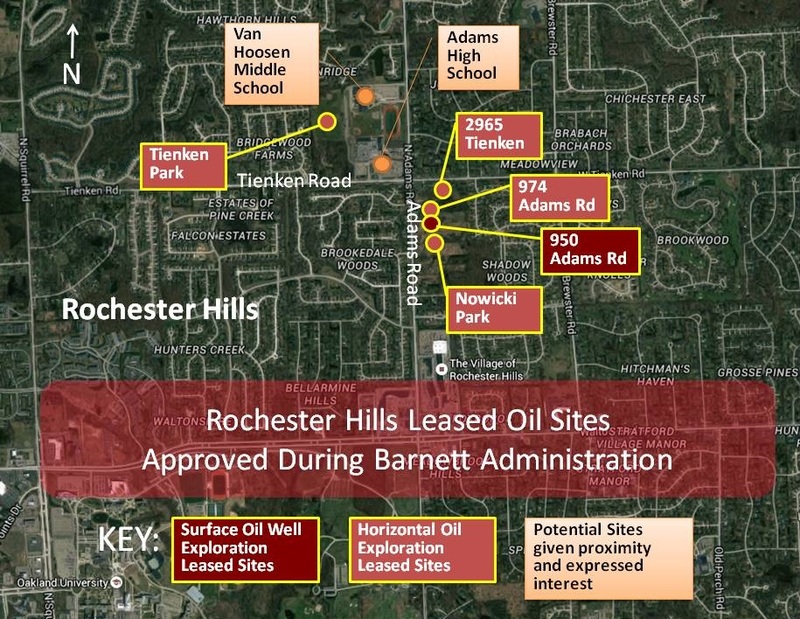 This discovery runs completely counter to Rochester Hills Mayor Barnett’s claims that oil companies have “no interest” in the area, and Councilman Tisdel’s emphatic insistence there are no surface leases in Rochester Hills. In fact, West Bay Exploration (WBE) has been actively filing well site documents this year for locations within the City of Rochester Hills. At that same meeting, Brower noted two potential rig sites: the “71 acres of school property” at the corner of Tienken & Adams (Adams High School and Van Hoosen Middle School) as well as adjacent private properties – “10 acres on the Southeast corner of Tienken & Adams”. These properties, now with unoccupied homes, are the very properties signed for surface leases allowing for oil & gas rig placement – adjacent to our city schools, city parks, and high density residential areas. Although Mayor Barnett recently claimed “the oil issue is dead”, these leases still exist. Even with current low oil prices, this area could see drilling activity resume in the coming year. Industry analysts expect drilling activity to rebound in 2016 with honed efficiencies. Also, filing these leases with the County is significant as oil companies typically file surface leases as a prelude to applying for actual drilling permits with the State. Mayor Bryan Barnett has stated many times in the last 3 years that “ordinances are not enforceable”. Additionally, residents have concerns that loopholes in the current oil & gas well ordinances are open to broad interpretation of oil rig site zoning and that their worries have fallen on deaf ears. For the City to settle the DDH lawsuit and allow residents to vote on all leases, sales or conversions of parks to non-conservation or non-recreational use according to City Charter. For the City to engage an attorney specializing in oil & gas ordinances to make promised protections enforceable and effective in practice. More information about the contracts and time line: When did the Mayor sign the oil and gas drilling contract? Post updated to reflect surface oil operations are permitted on 5.0 of the above identified 6.4 acres. The remaining 1.4 acres are under contract for subsurface operations. the O & G companies are drilling for gas to export to europe because europe customers pay $11.00 a cu foot. we in the U S pay only $3.00 a cu foot. we need to stop exports of all natural resources; specifically oil and gas and water. this requires grass roots legislation initially and eventual federal legislation and this needs to be done now. the U S has only 3 % of the worlds proven natural gas reserves; russia has 27% and iran has 15 %. has anyone any idea what russia and iran will charge the U S for natural gas (that is if they are talking to us at all) when we run out of nat gas??? A small Farmer’s market was shut down by the city on this site because it violated zoning laws. Apparently, the city believes oil rigs on the exact same property is better.